In the early 2000s, I was blessed to be working in the Caribbean, at a time when the region became a trailblazer in the fight against HIV/AIDS. Beginning with a meeting at the World Bank in June 2000, Caribbean finance ministers and officials from international organizations placed the disease and its threat in a sobering context. This was followed up by a gathering in Barbados later that year where the international community, heeding Prime Minister Owen Arthur’s call—“We do not have a choice in the matter—we must act now”—pledged millions of dollars to support a regional response. With the establishment of the Pan Caribbean Partnership Against HIV/AIDS (PANCAP) in 2001, spearheaded by Dr. Denzil Douglas, the Prime Minister of St. Kitts and Nevis, and CARICOM, the regional political umbrella organization, an international best practice began to evolve as a unique example of collective action to strengthen the regional response to AIDS. The Bank contribution to that effort was framed within the US$150 million multi-country program that funded for the first time globally, beginning in Barbados in 2001, anti-retroviral drug (ARV) treatment, along with related health system strengthening investments and intersectoral prevention efforts. While the implementation of the global HIV/AIDS response was hindered in some cases by political inertia, misuse of funds, stigma and discrimination, and organizational and service delivery bottlenecks, much was achieved this past decade across the world. More importantly, millions of lives were saved, and an HIV-positive diagnosis stopped being seen as a death sentence. As more and more HIV-infected people now benefit from access to treatment, putting some coffin-makers out of business as told in a recent story about Lesotho published by the New York Times, HIV/AIDS is fast becoming a chronic condition that requires long-term care. In the current era of fiscal deficits and constrained aid funding, and with the emergence of non-communicable diseases as a growing global health challenge, a major rethinking is required at the international level on how health services are organized, funded and delivered to meet the changing needs of the population. This calls for integration and resource-sharing under universal health coverage initiatives; leveraging resources, experience and models of existing programs to place greater emphasis on primary health care and community-based interventions that serve any health condition; and adopting sustainable schemes to fund the effort at the country level and offer protection to the population from the impoverishing effect of ill health. As the response to the AIDS epidemic clearly demonstrated, knowledge generation and sharing across the world, and its adaptation to local conditions, is paramount to advance the global health agenda in the future. 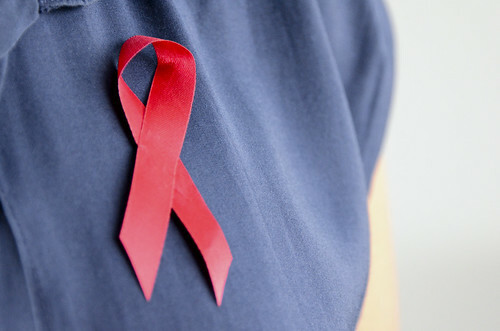 I thank the author for writing this blog on AIDS in the Caribbean and shared with us a piece of the important history in the Caribbean's response to HIV/AIDS. It allows us to keep some institutional memory on the Bank's early involvement in supporting the Caribbean countries to take actions to control the AIDS epidemic. I appreciate author’s effort and contributions to the HIV/AIDS Control for the LAC region.